I'm on a Trina Schart Hyman kick -- blame it on the Hershel and the Hanukkah Goblins I saw at Barnes & Noble. There are so many books I picked up as a child because of Hyman's tempting and richly-detailed illustrations and she remains one of my favorite illustrators. 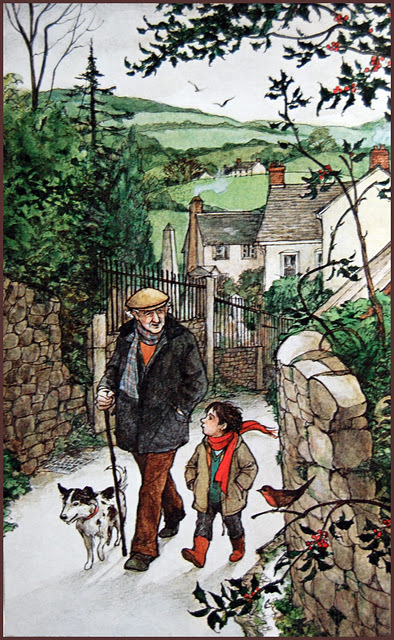 So, when I saw my library owned this edition of A Child's Christmas in Wales, I snapped it up. 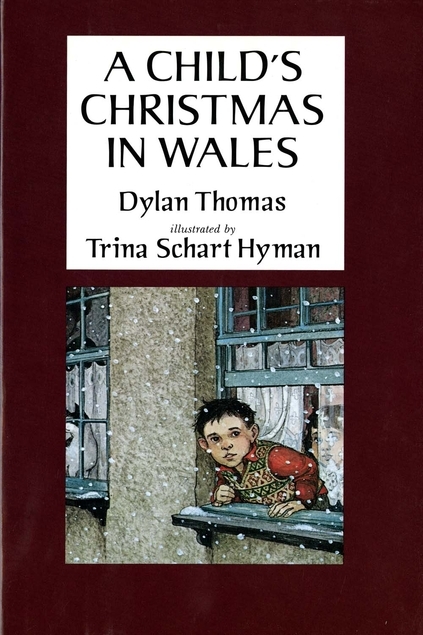 I'd never read A Child's Christmas in Wales -- didn't hear about it until I was a college student with limited patience for poetry. Needless to say, I did not read it then. 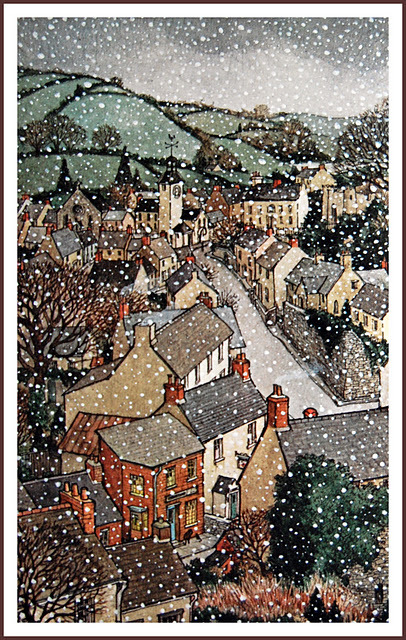 A Child's Christmas in Wales is a beautiful prose poem of childhood and Christmas in a small Welsh town and Hyman's illustrations pair so well with the story. 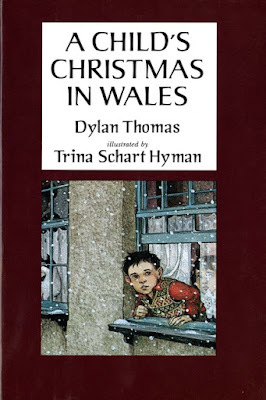 I know there are many editions of A Child’s Christmas in Wales, but this one is so lovely and perfect that there really need be no other editions! I would really like prints of some of the illustrations to hang on my walls. The one of Aunt Hannah, who liked port, "singing like a big-bosomed thrush" in the middle of the snowy yard is my favorite -- mostly, because I expect to age into Aunt Hannah. And, as with Trina Schart Hyman's Little Red Riding Hood, there are cats everywhere!